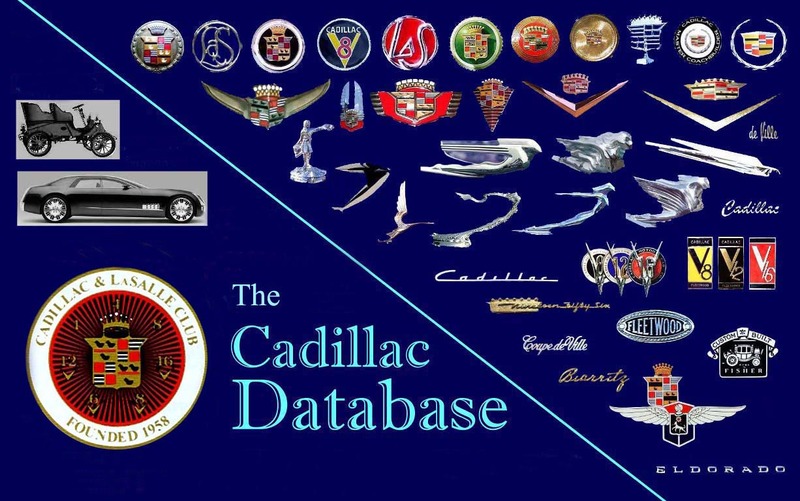 The Cadillac Database© is a non-commercial, non-profit, 100% ad-free Internet resource for the old-car hobby. It is a holding of the Museum & Research Center of the Cadillac & La Salle Club, Inc. The facts, figures and images included herein attempt to retrace the history and styling of Cadillac-made automobiles from the time the Cadillac Automobile Co. was founded, in 1902. It was compiled by Yann Saunders, a member of the Cadillac & La Salle Club, Inc., the Society of Automotive Historians and the Classic Car Club of America.